Wendy's tweaks their summery berry chicken salad with the debut of the new Berry Burst Chicken Salad for a limited time at participating locations. 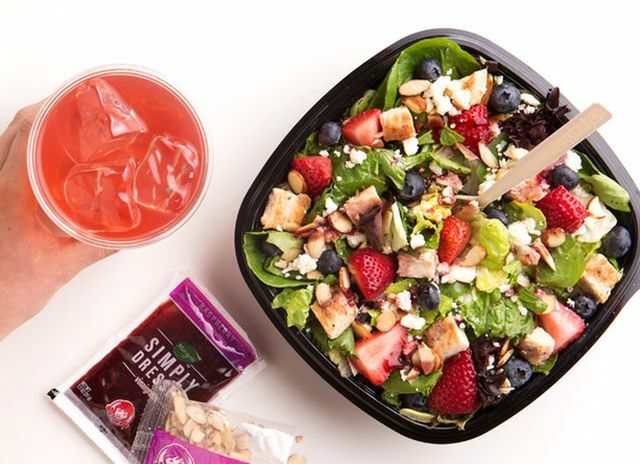 The latest version of the chain's seasonal berry salad features fresh strawberries, blueberries, grilled chicken, roasted almonds, and feta cheese on a bed of spring mix and lettuce. It's served with a raspberry vinaigrette. The Berry Burst Chicken Salad is basically the Berry Almond Chicken Salad of many-a-year past but with crumbled feta cheese instead of shaved Asiago cheese.